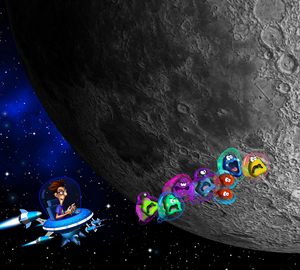 Chase the Nebublobs to the surface of the Moon - but watch out for their toxic gas! 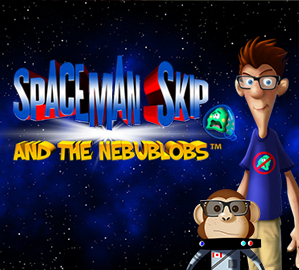 Join our hero as he blasts the Nebublobs back to their own galaxy! 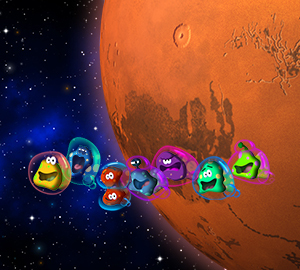 Even if you spot the Nebublobs in space you may have to follow them to the surface of a planet to round them up! 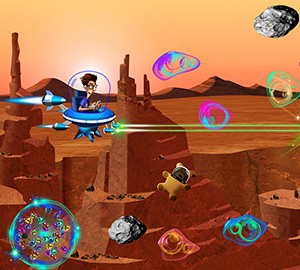 Survive the onslaught of Nebublob gas and you'll capture them all! 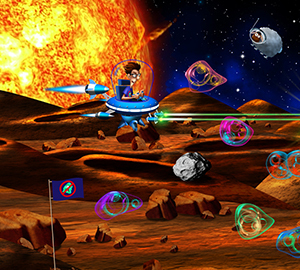 Chase the Nebublobs across the surface of Mercury but watch out for their gaseous emissions, one touch could be deadly! 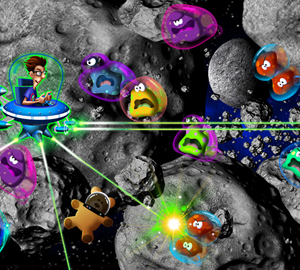 Rocket around the asteroid belt, capturing Nebublobs!